In this Research Strategy, MAIZE invests in foresight, targeting and socially-aware approaches to maximize the impact and inclusiveness of research. 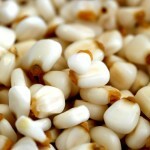 Why Inclusive and Profitable Maize Futures? In a complex and rapidly changing world, research can only be effective it is sensitive to different contexts and dynamics. Work in MAIZE CRP is underpinned by an understanding of agricultural innovation systems, in which farmers interact within their local ecologies, landscapes, market and policy environments. By harnessing this understanding, it is possible to define interventions that will further enable MAIZE to achieve its goals in terms of food security, livelihoods and sustainability in the areas where it works. For example, MAIZE has funded half of investigations in the cross-CRP gender study to understand how gender dynamics affect the uptake of agricultural innovations, and how the benefits of these innovations are enjoyed. The Hill Maize Research Project in Nepal targets farming families suffering from gender- and ethnicity-based discrimination, so that marginalized women become active participants in thriving community-based seed production enterprises. Participatory approaches to gender in agricultural development. When designing and implementing agricultural development projects, it is difficult to ensure that they are responsive to gender dynamics. For Mulunesh Tsegaye, a gender specialist attached to two projects working on the areas of nutrition and mechanization in Ethiopia, participatory approaches are the best way forward. 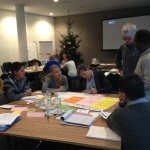 MAIZE and the Royal Tropical Institute (KIT) of the Netherlands organized a workshop called “Designing projects focusing on agricultural innovation systems” in Wageningen, the Netherlands, on 11-13 December 2015. In over 125 agricultural communities in 26 countries, a field study of gender norms, agency and agricultural innovation, known as GENNOVATE, is now underway. 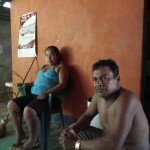 A team of researchers from CIMMYT carried out the first GENNOVATE fieldwork in Mexico in 2014. The CIMMYT Global Maize program, with funding from the MAIZE CRP, recently produced a series of videos on nixtamalization, the process of cooking and steeping dried maize grain with water and lime.